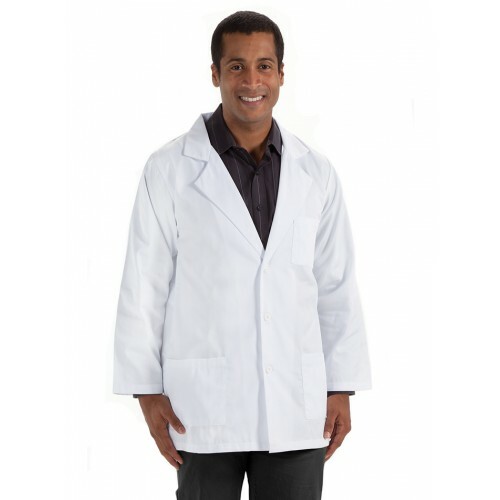 Long length Consultation Jacket for male doctors and laboratory staff. 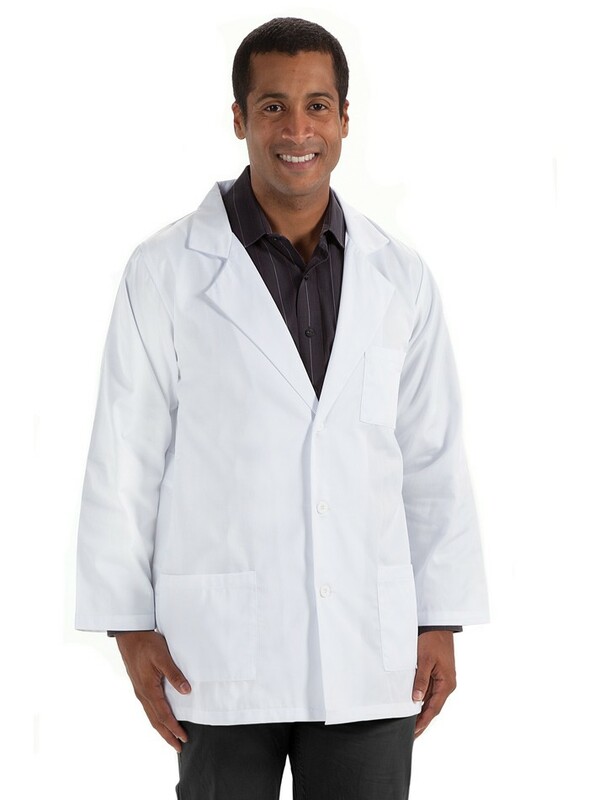 This long length mens consultation jacket has a button front with a faux belt. It also has three roomy patch pockets and side openings for easy pant access.